Yes, we had a combined Terrain Corner/Snippets yesterday. 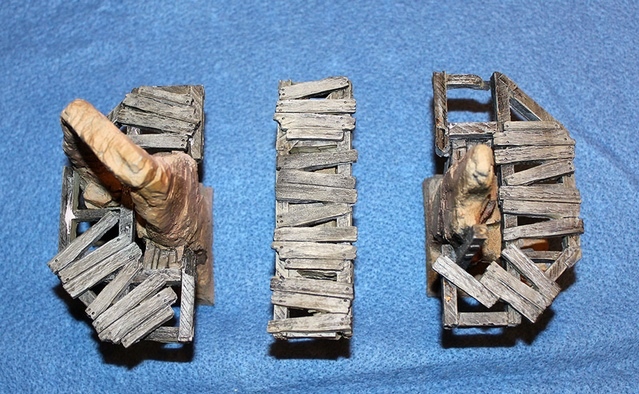 I wanted to make sure that any terrain articles I had didn't wait another day after Gen Con to be posted. That doesn't mean there haven't been a couple terrain articles come in since then. So here we are again, making sure your gaming tables look as good as possible. Today we have: Doors Unlocked In Tablescapes Dungeons, and Lunesdargent Workshop Running Egyptian Dungeon Game Tiles Kickstarter. 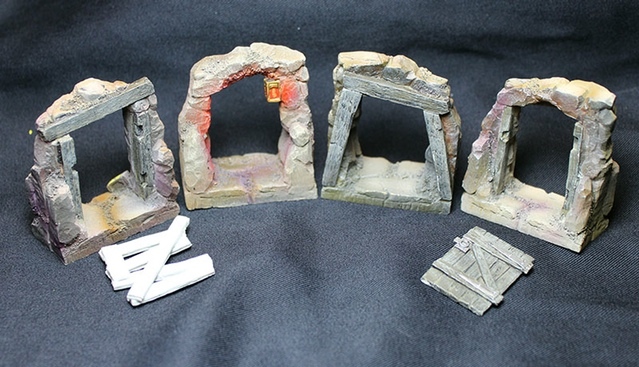 The Door Set includes four doorways -- and the two on the ends are sculpted so that you can use the plank barricade, or the wooden door, in either opening. This set is now included in EVERY Core Set that you pledge for -- in addition to what's already included in every Core Set! 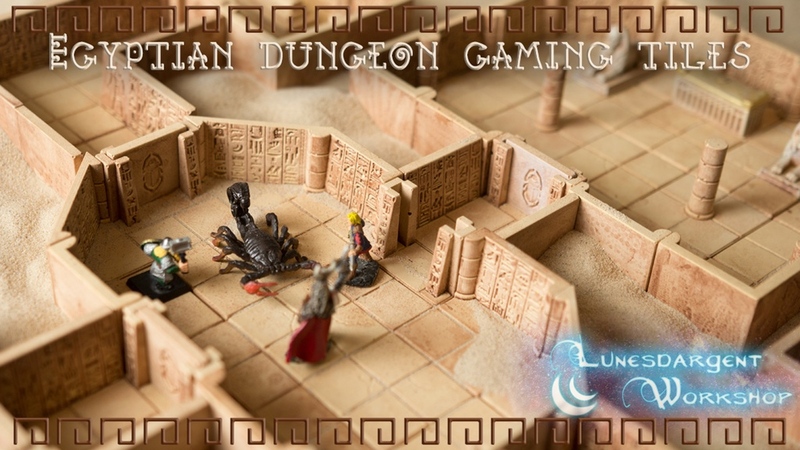 Lunesdargent Workshop is proud to introduce its first tabletop gaming tiles environment : Egyptian dungeon. Why invest in this tile set? Because we care about instilling optimal immersion to our RPGs. We wanted to create the perfect gaming tiles for ourselves, and now feel that they are worth sharing. Our original design is therefore unique, intricate and fully custom-built. Further, our sandstone material stands out both in feel and in receptiveness to washes and custom painting. Our gaming tiles are based on the 25mm squares system in use by the industry, which makes them compatible with most gaming tiles available for tabletop RPGs, like D&D and Pathfinder. We are open to your ideas and plan on releasing more, unique custom designs going forward, while respecting the tiles you may already own. Made with our personal recipe of very hard sandstone, these will last aeons - and tiny surface bubbles give every single one of these tiles a unique time-worn look. The tiles are ready to be used out-of-the-box or can be rapidly washed with diluted brown paint to obtain a darker, old-stone look. We are the designers and the manufacturers, so there are no middle men - which means lower chances of delay. This also means you have a direct line of communication with the heart of the project and we are very receptive to customization ideas and requests.